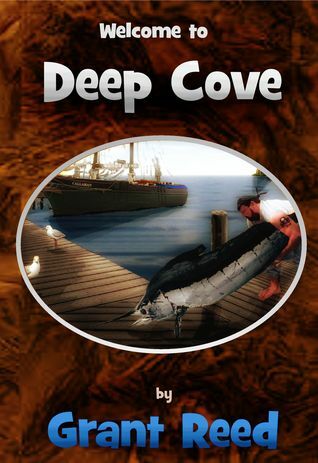 Welcome to Deep Cove is an energetic fantasy adventure tale with some intriguing characters. Garrett is a private investigator with a small dragon for a partner. How did you set about writing for this dynamic duo? The groundwork for the Vellian Mysteries was laid out in the prequel books – the Vellian Heroes series. My twin Gary and I set out to write some fantasy adventure novels for teens, and the protagonists were Garrett and his training partner Azilda who were around the age of twelve in the first two books. The Vellian Heroes series tells the story of how Garrett and Azilda were trained by their ancient masters- Yarl and Fonn, to become future protectors of the realm. 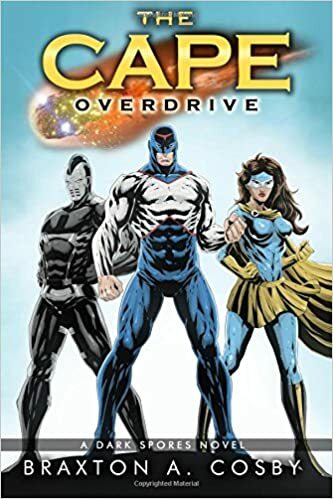 Like the Vellian Mysteries, the ‘Heroes‘ series also maintains a humorous tone, where we wanted to keep the story fast paced and as entertaining as possible. The Cassadian Chalice (Vellian Heroes Book 2) Essentially tells the tale of how Garrett met Merle and P.C. In this story some dock workers are missing and Garrett must investigate. What was your inspiration for the mystery he must unravel? I wanted to show that Garrett and his partner Merle, were just average Joes trying to make a living. They’re not really heroes in the truest sense of the word, but when their mettle is tested, they become a formidable pair. Having to work dock duty to pay off back rent they owed to their landlord was almost a parallel to my own life at the time, where I seemed to go from one menial job to the next in a bid to pay the bills. Of course, if some of those dock workers happen to turn up missing, I thought this might be a way to ease into a much deeper mystery, which really has very little to do with the actual disappearance of one of Kline’s hired muscle, but more to do with how far a man would go to avenge the loss of his family and to right the wrongs perpetrated on him and his loved ones. After all what would you do to protect your family? I know I would do almost anything- even if it took me years to get my revenge. So as you can see, one small aspect of the story really feeds a much bigger idea. 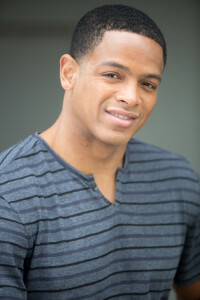 Garrett and other characters come from another of your book series, Vellian Heroes. How has character development changed for you through the series for the main characters? As I mentioned, the Vellian Heroes take place when Garrett and Azilda are twelve years old. 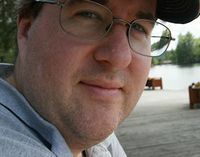 After writing those books for a couple of years and then taking a couple years off, I came back ready to write when I was 31 years old (I’m 40 now) and at the time I thought to myself, wouldn’t it be interesting to see how these characters turned out twenty years after the stories told in the first two books. Did they become great heroes and protectors of the realm or was their a more realistic arc to the expectations that had been thrust upon the youngsters? Even I didn’t know, but I thought it might be fun to investigate. Advancing the story by twenty years, I was able to write Garrett’s perspective from that of a man’s. Of course, as kids they had their own personalities and inconsistencies, and I tried to keep these intact for Garrett and Azilda, but with the added factor they had now experienced twenty years, since they were trained by the masters. Welcome to Deep Cove is the first book in the Vellian Mystery series. Where does the next book in the series, Something Stinks in Deep Cove, take the characters? Book 2 – Something Stinks in Deep Cove, reunites Garrett with his sister Azilda. There are also several other characters brought back from the Heroe’s series as well, and you might even have to think back to figure out where some of them come into play. For those that have read the first two books, I think it will be quite fun to see how these characters turned out (especially Uncle Willie who plays a key role in Something Stinks in Deep Cove). At first glance, the mystery itself seems pretty cut and dry. P.C, Garrett and Merle’s automaton, is seen attacking a Deep Cove businessman in front of dozens of witnesses. The old man has a heart attack, and now Merle and P.C must stand trial for murder. How the heck is Merle going to get out of this one? I thought it would be fun to dissect a case like this and take something that seemed black and white and break it down through the eyes of Merle who must use all of his sleuthing skills to get to the bottom of what really happened to Mr. Potty. At thirty-one, Garrett Willigins has finally earned his private investigator’s badge. Unfortunately the bills haven’t stopped coming and building a solid reputation won’t happen overnight. Forced to take employment wherever they can, Garrett and his miniature dragon partner, Merle, must dirty their hands any way possible to make a buck. Shoveling manure, chasing cats, and dock duty seem to be the order of the day. Working off back rent for a notorious gangster isn’t the safest of jobs on a good day, but when the other dock workers begin disappearing, Garrett finds himself elbow deep in a mystery that might spell a quick end to his short P.I. career. 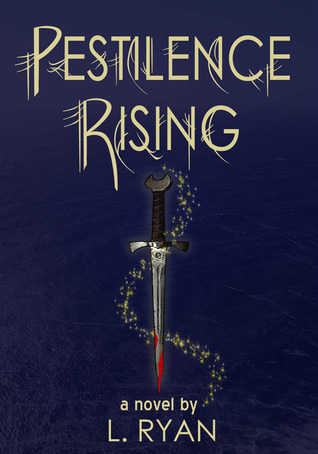 Pestilence Rising is a chaotic journey filled with thrilling possibilities. Hunter is a ravager, someone that can spread disease to those around him, and struggles to keep his powers in check. His brother, Michael, is a healer. As kids Micheal tested the limits of his powers by killing animals and brining them back to life, and even drowning Hunter at one point so he can see if he can bring him back to life. But Hunter is still the black sheep of the family. He killed his mother when he was born, his brother can heal people while Hunter can only kill people, so there is no wondering who the favorite child was. Eventually Hunter grows up and keeps his distance from his family and to support himself he works for a government agency called The Center that locates and quarantines anomalies such as Hunter and Michael. The book opens with Hunter searching the internet for anomalies to report to The Center when an angel climbs into his window and immediately lays a life changing decision on him. He must turn away from The Center and the life he built for himself and go in search of his estranged brother. Reluctantly, and with a shove from the angel, Celeste, he begins his run from The Center and towards Michael to save him from an unknown fate. While on the run, Hunter learns about a looming threat to all anomalies that is bigger than The Center. It’s a threat that has the potential to destroy all life on the planet. There are people with other powers than just ravagers and healers, some people can see into the future and there are still others that have been left unexplained, but they all essentially have super powers that they are struggling to cope with. The story starts to take on the feel of the TV show Heroes where these are characters with special powers that are on the run from a government agency, they must use their powers to escape and overcome the challenges ahead, but they must also find the human element in their non human powers and decide what kind of a future people like them will have. The story, overall, is well developed, but there are finer points that have connections that are missing. A few examples: The reason why the anomalies have super powers is because of two deities that lived long ago that had the same power of healing and ravaging and their powers were dispersed among a few people, but then, why are there some people that have powers other than healing and ravaging? Why was Michaels girlfriend not more concerned with Michael’s disappearance? At one point Hunter was shot, suffering from withdrawal from his medication and was just in a terrible car accident, but he gets fixed with a night of sleep and some over the counter vitamins and pain killers. The story could have been fast paced if a lot of the fluff was edited out as there is an overabundance of character placement and contextual detail. I enjoyed the story overall and the authors passion for the story really shines through. The story ends with a slight possibility for a sequel where, I hope, the adventure continues. Look for this book coming out September 2013.